— The U.S. Senate race between Democratic incumbent Bill Nelson and Republican Gov. Rick Scott. In the unofficial results, Scott had 4,098,107 votes, or 50.07 percent, while Nelson had 4,085,545 votes, or 49.92 percent. 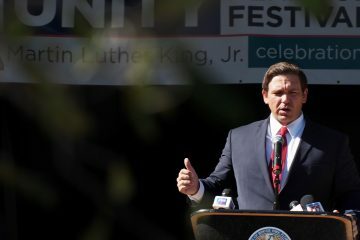 — The Governor’s race between Republican Ron DeSantis and Democrat Andrew Gillum. 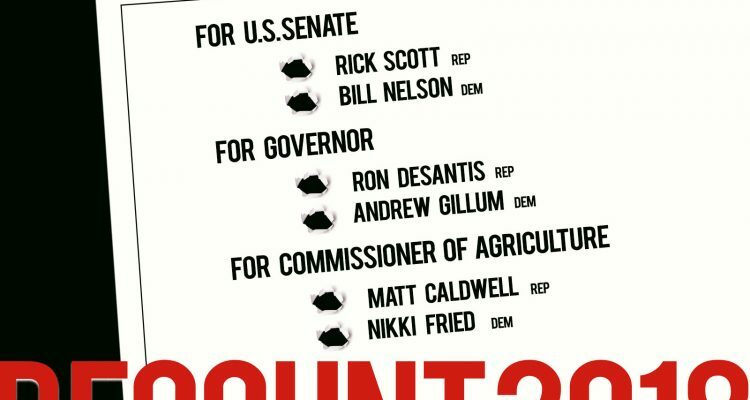 In the unofficial results, DeSantis had 4,075,879 votes, or 49.59 percent, while Gillum had 4,042,195 votes, or 49.18 percent. — The race for Agriculture Commissioner between Democrat Nikki Fried and Republican Matt Caldwell. In the unofficial results, Fried had 4,030,337 votes, or 50.03 percent, while Caldwell had 4,025,011 votes, or 49.97 percent. 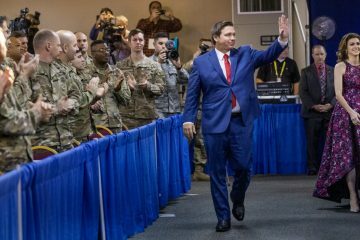 — The race in Hillsborough County’s state Senate District 18 between Sen. Dana Young, a Tampa Republican, and House Minority Leader Janet Cruz, a Tampa Democrat. In the unofficial results, Cruz had 104,001 votes, or 50.09 percent, while Young had 103,625 votes, or 49.91 percent. 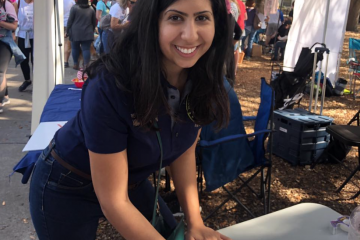 — The race in Volusia County’s House District 26 between Rep. Patrick Henry, a Daytona Beach Democrat, and Republican Elizabeth Fetterhoff. In the unofficial results, Fetterhoff had 30,591 votes, or 50.05 percent, while Henry had 30,532 votes, or 49.95 percent. — The race for an open seat in Palm Beach County’s House District 89 between Republican Mike Caruso and Democrat Jim Bonfiglio. In the unofficial results, Caruso had 39,228 votes, or 50.02 percent, while Bonfiglio had 39,191 votes, or 49.98 percent.